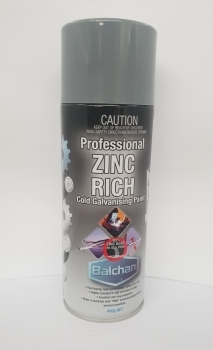 Balchan professional ZINC RICH cold galvanising paint. Balchan professional ZINC RICH cold galvanising paint is a fast drying, high solids, high performance epoxy zinc rich coating. Provides maximum galvanic protection to steel against corrosion when exposed to severe corrosive environments, such as salt and water. 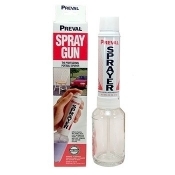 approx 1 to 1.5 square metres per can depending on film thickness and spraying technique.